A year ago, on 4 October 2017, Proximus announced a Fiber-to-the-Home wholesale agreement with edpnet. In the past 12 months, Proximus has concluded such agreements with another 13 wholesale customers. Thanks to the flexible access (Ethernet VPN, bitstream or carrier services) to Proximus' open fiber network, these national and international operators can offer their own services to both residential and business customers. This fits in with "Fiber for Belgium", a €3 billion investment plan to accelerate the roll-out of the fiber network. With this plan, Proximus makes a significant contribution to the Belgian economy. Indeed, fiber is the fixed network of the future, making it possible to anticipate the growing capacity needs of all players, given the exponential growth of data traffic and digital services. In just one year, 14 independent telecom providers have already opted for Proximus' commercial fiber offer. This shows that wholesale customers see fiber as the fastest and most efficient way of offering new products and services to their customers. 20 years on from its liberalization, the Belgian telecom market is open to both established and alternative operators as well as new players. 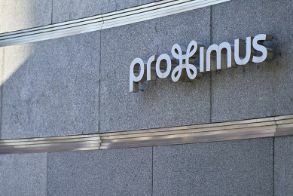 By opening its fiber network, Proximus stimulates competition in the broadband market in Belgium. We are very happy that, in just one year, 14 wholesale partners have already joined our fiber network. We didn't wait for a regulated model to offer fiber to as many businesses and citizens in Belgium as possible. From the outset, we opened our network to respond to the changing needs of our wholesale customers, and to give other companies a chance to develop their own innovative services. This forms an integral part of our long-term strategy and our ‘Fiber for Belgium’ project. Fiber offers an opportunity for the whole sector to fully embrace the future of the digital society.